Name the cause: Alice wasn’t sure she wanted to get up to pick daisies. Why was she feeling this way? Name the effect: The White Rabbit had a watch and was wearing a coat. What effect did that have on Alice? 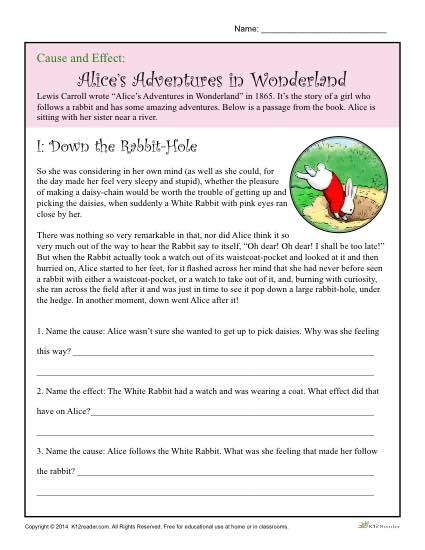 Here is a free printable worksheet with an excerpt from Alice In Wonderland to help your students practice learning about cause and effect. The worksheet is ideal for 3rd and 4th grade, but can be used where appropriate.